When going on a night out and as we say in the UK 'out, out' you have to look and feel your best to have a good night! These products help me do just that. Whether its for a big event or a night out on the town these are the products I reach for most. I have had this powder for years (not that exact one) and I use it every time I go out. Once I have completed this whole look I like to lightly dust this powder all over my face to give my skin that all over glow. I looks slightly glittery in the pan but it just gives your skin a sun kissed look, like you've just stepped off an aeroplane. 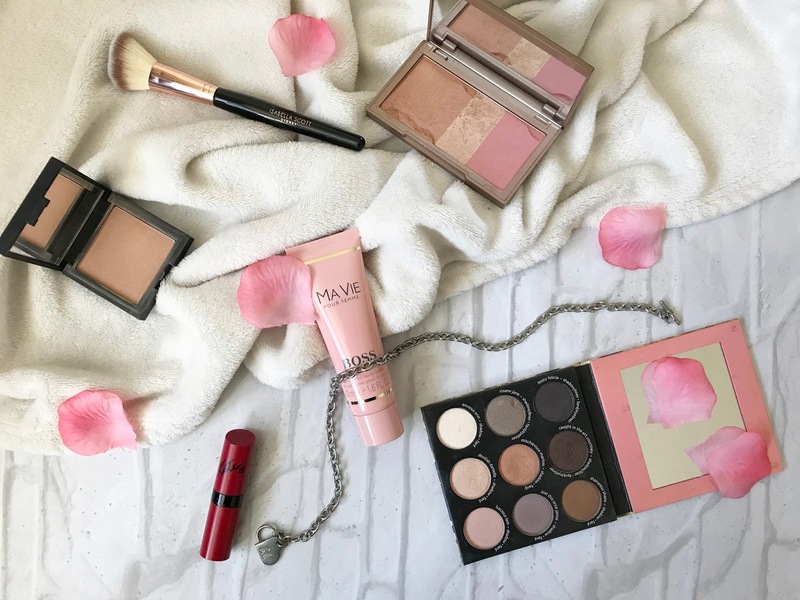 This Bronzer, Highlighter and Blush trio is my ultimate favourite. Its small enough so that is a perfect fit for your bag on a night out to touch up your look. 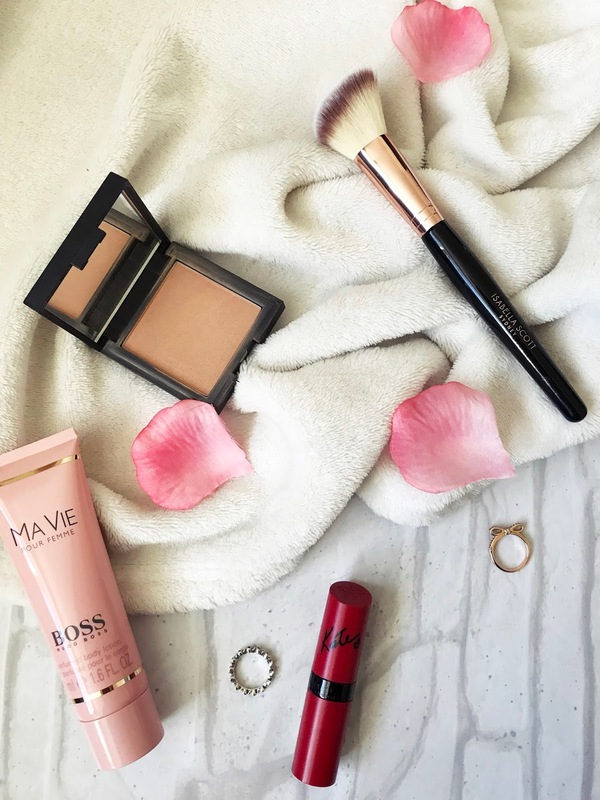 My favourite part about this trio is the bronzer, its warm enough to give you that bronzed goddess sort of look. Its perfect for a night on the town because its slight shimmer that it has. 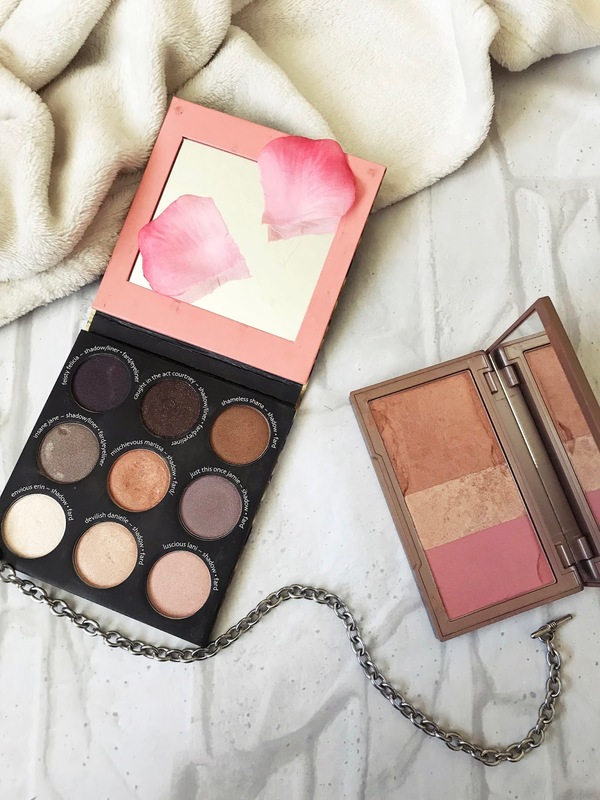 The highlighter in this trio is also great because it warm pinky tone which looks perfect with an eye look from The Balm palette. I have a hack that I do with perfumed body lotions especially this one. I dont use them all over because sometimes they can irritate my skin but I use it in the areas that I apply perfume. I then would apply a perfume similar to the lotion on top and this helps the perfume to stay on the skin for longer and the smell lasts longer..I like this lotion because the scent isn't too strong which means you can apply a different perfume on top. For a night out its best to wear clothes and makeup that make you feel your best so you'll have the best night! What are your make up must haves for a night on the town?